Achieving your short term, and more importantly, your long-term financial goals is similar to helping a pet remain healthy throughout its lifetime. You need to determine any issues that are adversely affecting your financial health and establish a program to resolve them. 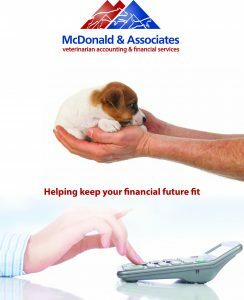 At McDonald & Associates, we know that working with our veterinarian clients means more than simply providing accounting and tax services. It means having an in-depth understanding of the complexities involved with the financial management of your practice. As the veterinarian financial experts, we can relieve you of the concerns of payroll, sales tax, income tax and accounting – while you focus more time working with patients. Your hard work should be reflected in your profit. Our periodic reviews of your financial statements will keep track of your finances, which can result in significant savings on taxes. As the owner, you do not want to be overpaying income taxes. Our tax experts will review your individual and corporate taxes to be certain you are keeping as much of your hard-earned profit as possible to maximize your wealth. As payroll experts, we can take the burden of payroll off your table. Whether you have a few or several employees, we can prepare your payroll and payroll taxes to assure all laws are followed. Obtaining equipment for your practice can be a challenge. We can assist in evaluating reasonable financing options to assure you continue to provide the best care for your patients. Many of our veterinarian clients were using manual accounting systems, which are costly and contain ineffective procedures. As QuickBooks TM Pro Advisors, we can help set up QuickBooks TM to assure the accuracy of your financial records to achieve higher profit margins. From small practices to large, we will develop a program to provide the efficient and responsive service you need. If you are working with another accounting firm, give us the opportunity to explain how we can maximize your wealth – and make the transition to our services painless. For more information check out our brochure! Please contact me about your accounting and financial services.